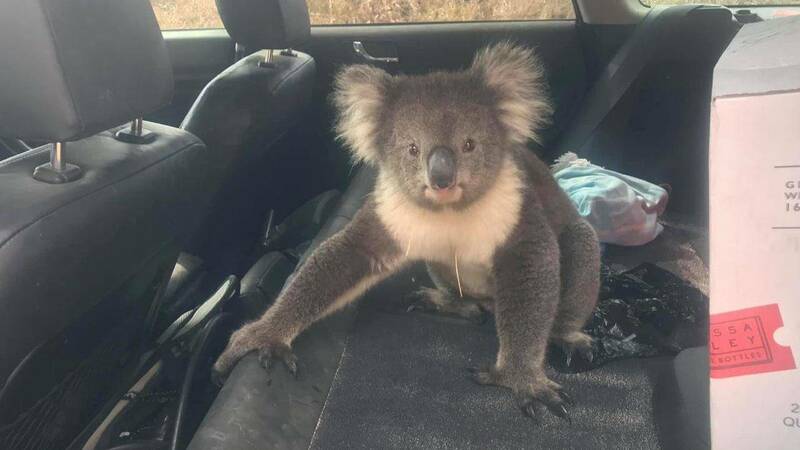 A koala bear gave an Australian man a run for his money, refusing to leave his air-conditioned car. Tim Withrow recorded the moment he returned to his car and found the koala hanging out with his dog in the chilly vehicle. The winemaker was visiting a vineyard Monday and left his car doors open so the dog could go in and out. Temperatures in South Australia that day reached about 80 degrees. After much coaxing with a water bottle, some sweet talk and even a selfie, Withrow was finally able to rid himself of the marsupial by grabbing it and nudging it toward the door. Koala nebeng ngadem di mobil Tim Withrow.